Create Classroom Websites with Weebly! Weebly is an easy to use, drop and drag website builder. It allows you to create a professional looking website, for free, that includes image galleries, slide shows, YouTube videos, and more- without using HTML code. As part of college and career readiness, students are learning to write research papers that include in-text (or parenthetical) citations and a Works Cited page. This is so that students acknowledge and give credit to the research sources they use in their writing, which is a requirement at the college level. View the video at left to learn how to use Microsoft Word to easily create the Works Cited page and in-text (parenthetical) citations. QR Codes, or quick response codes, are two dimensional bar codes that can be scanned using the camera on a PC, tablet, smartphone or other similar device. QR Codes are increasingly being used in schools. For help on how to create QR codes, please view the video below. 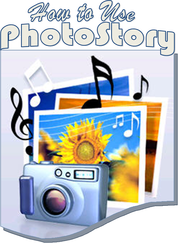 Photo Story 3 is a free Windows-based program that allows you to create movies using digital pictures, music, narration, and titles/captions. It can be used by teachers to create informational movies and also by students to create book trailers, autobiographies, biographies, historical timelines, and more. Read ways educators are using Photo Story in their classrooms. For help on how to create your own movie in Photo Story 3, view the video below. Think of LiveBinders like a digital 3-ring binder that can include webpages, PDF files, images, videos and text. You can use LiveBinders to search for portfolios created by educators throughout the country. create your own electronic portfolio for evidence collection or help students create portfolios, and to organize and bookmark resources for projects, lessons, and units. To read about how LiveBinders is being used by educators, click below. View the video below to learn how to sign up for and create a free Live Binder.